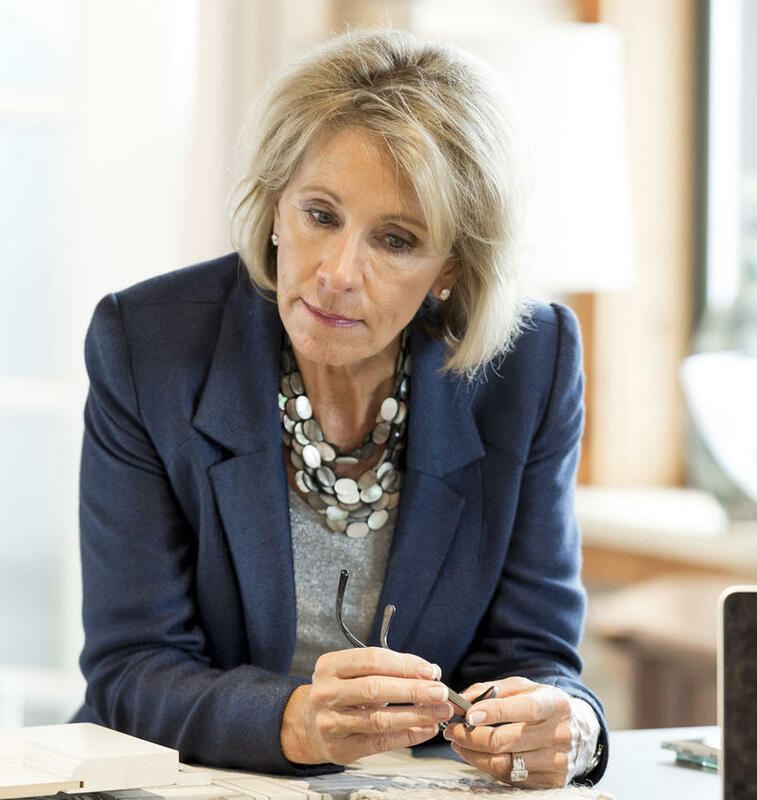 The Every Student Succeeds Act is a reauthorization of a decades old federal education law that passed Congress in December 2015. It is the first major revamp since No Child Left Behind was signed by President George W. Bush in 2002. NCLB significantly expanded the role federal government’s footprint in education policy in everything from testing standards to teacher evaluation. The new law was designed to shift much of that power back to the states. It also gives states more flexibility when it comes to how they identify and fix failing schools. States are still required to submit accountability plans to the federal government for review. Michigan has been working on its plan since May 2016. What’s in Michigan’s draft plan? There is a lot packed into the 153 page plan, which you can read in its entirety here. (There’s also a shorter summary available.) But two of the biggest changes have to do with how failing schools are identified and how they are fixed. 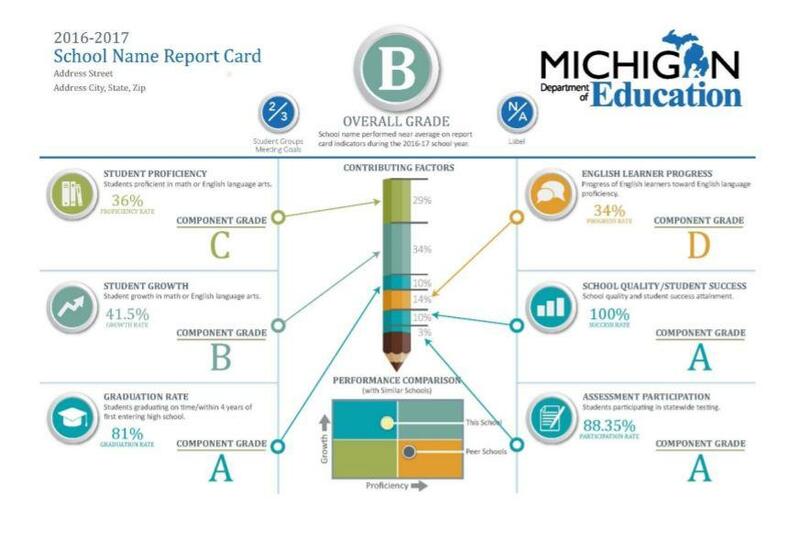 A mock up of what a school ratings system could look like under a new accountability system from the Michigan Department of Education. Until recently, the state was using a color coded system to rank schools with schools getting either green, yellow or red status based on how they performed on standardized tests. The new system ranks schools on an A-F grading system. A school’s score will be based on a combination of test scores, graduation rates, progress of English language learners and other factors. Districts that have one or more “F” schools will become a “partnership district” and receive additional resources and oversight from the state. The “partnership district” model is another major change to Michigan education policy. It lays out a model for turning around schools with low academic performance. When schools receive an “F” grade, that school’s district would enter into a partnership with the state’s education department. Under current federal policy, resources to turnaround failing schools are directed at individual buildings, not entire districts. Once the Michigan Department of Education enters into a partnership with a district, a “comprehensive needs assessment” would be conducted for the school that would look at how to improve students’ academic outcomes. The assessment would also address “whole child outcomes”--things like health, nutrition, and social and emotional needs which can be barriers to learning. Then, districts would convene a variety of stakeholders, including parents, community organizations, and state agencies to come up with a plan and timeline for improvement. The school would have three years to demonstrate that it was making improvements under the new plan. In addition to to the A-F system and partnership district model, there there are also plans for supporting teacher preparation and professional development as well as a vision for a new system of testing and assessment. Michigan has been slipping in education rankings for more than a decade. 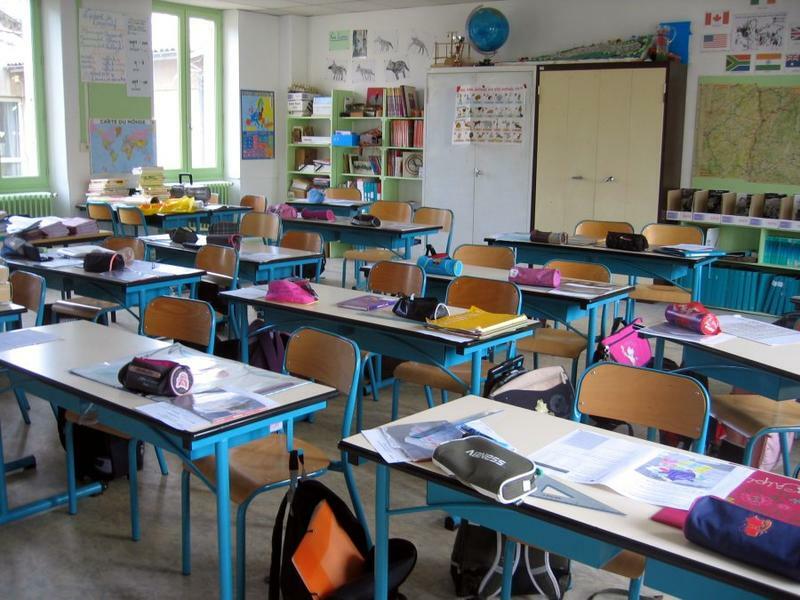 A report last spring put Michigan’s fourth-grade reading scores at 41st in the nation and said the state would likely slip further in the rankings if it didn’t make some big changes. The MDE put out a detailed plan about a year ago to help the state reverse course and drastically improve its education system. It aimed to have Michigan in the top ten performing states by 2026. Officials at MDE says their ESSA accountability plan is designed to support the goals laid out last year. You can view the new plan and submit a comment on the MDE’s website. The public has until March 16th to give feedback on the draft before its finalized. The new policies will take effect in the 2017-2018 school year.